This document outlines some ideas with regard to how a Guidance Counsellor may engage a reluctant teenage client. Please feel free to share this with others and to leave comments and feedback there. During the teenage years there are both physical and psychological changes occurring. Physical changes occur with the onset of puberty as changes in hormone level impacts on the physical appearances of the individual. Psychological change is marked by the child moving from concrete thinking to formal operational thinking. This becomes obvious as the child thinks more abstractly and they develop the capacity to hypothesise and reason more logically. During this time, the adolescent tries to establish more autonomy from their parents as they strive for more self-definition. Their peers take on greater importance at this stage. However, they are still very conscious of monitoring the boundary between themselves and their parents. Frequently they will test this. When a client comes for counselling for the first time, whether he self-refers or is referred by a teacher, engaging him in the counselling process may be difficult. A client coming for counselling brings his whole world with him as he comes through your door. The client’s experience of relationships, his experience of trust, his self-esteem, his sense of boundaries and sense of fear, have already been established from his earlier relationships. His willingness to engage in the counselling process may vary from extreme unwillingness to overt hostility. This unwillingness to be involved in the counselling process is called ‘resistance’, or an ‘impasse’. Honour this resistance, as this tells you something about the client’s ‘inner world’ or the ‘emotional world’ of a client. The inner world or emotional world refers to a client’s subconscious, where they have projected images from their earlier relationships. This will become apparent in the counselling process as it evolves. 1. He may have had a negative experience of trust in the past. 2. He may not know what counselling is. 3. He may come from a passive environment, where problems are not identified and sorted. 4. He may have a learned helplessness and believe that he cannot change anything. 5. He may have disabling self-talk e.g. it won’t work. 1. At the beginning, make the environment safe by putting a boundary in place through stating the limits of confidentiality. 2. Try to create a trusting environment by reassuring him that you are there to help him. 3. Check with him what his understanding of counselling is. 4. Clarify and explain what counselling is, that it is a process of looking at change together. 5. Enter his world by speaking his language, by knowing what his interests are, things he enjoys and activities that he is especially good at. 6. Be genuinely interested in his story and see it from his perspective. 7. Instil hope and normalise his issue. 8. Be honest about what you know about an issue. 9. Be genuine, non-judgemental and empathic. The contents of this post are also available in a one page document that you can download from here. Attachment Theory is concerned with the way people interact with each other. 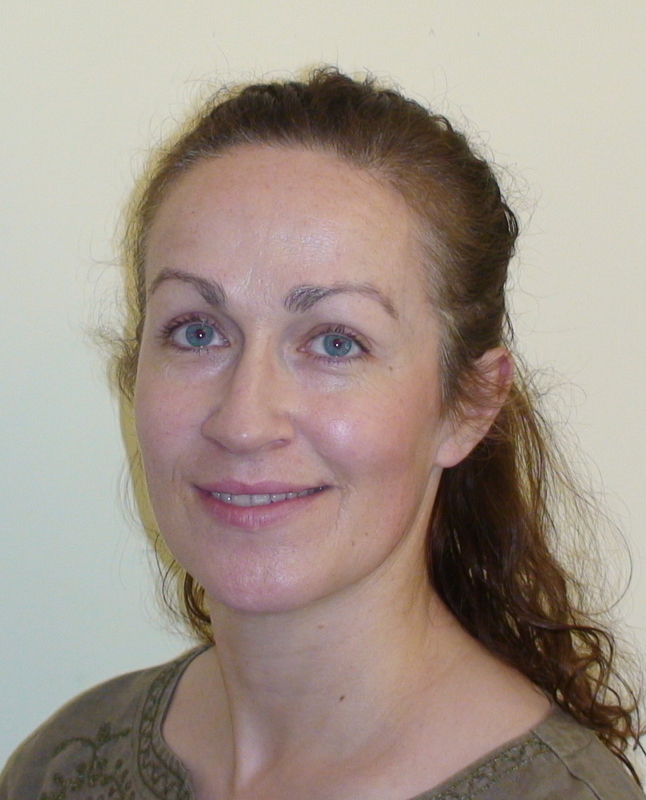 It begins in infanthood when a child forms an attachment relationship with its primary carer. It continues through childhood and into adulthood. The best form of attachment relationship is termed a Secure Attachment. 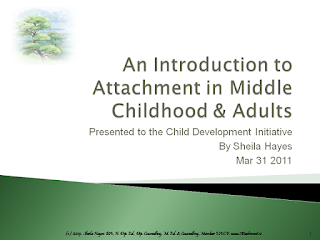 This document contains some practical advice on how to help foster a Secure Attachment in your child. It applies to children from infanthood through to early teens. Further information on Attachment Theory can be found on my website www.attachment.ie. Has a positive self-image and believes they are worthy of love. Is capable of giving and receiving in social relationships and of forming trusting relationships. Has generally positive expectations regarding relationships and can negotiate the social world. Can negotiate separations and reunions relatively smoothly. Is capable of forming intimate relationships later in life. Providing a secure base that the child can feel comfortable in leaving, as he knows it will be there when he wishes to return. Providing a safe haven where a child can return to its parents safe in the knowledge that everything will be ok. Being comfortable with Separation distress manifesting itself in the child. Separation Distress refers to the anxieties and feelings that the child may have when he is away from his parents. Responding positively to proximity seeking which is the desire of the child to be comforted by his parents. Supporting exploratory behaviour, which is the desire of the child to move away from his parents and to discover his world. Having the child carry a photograph of their parents with them at all times. Understanding the links between the child’s behaviours and emotions and proactively addressing them. In this way, the child develops a sense of their parents as people who can cope with the child’s emotions and can help him make sense of them. The child understands as well that he or she can trust and depend on their parents to help him when he is in trouble.